The last couple of weeks have been filled with casting and character reports for the upcoming Netflix series Luke Cage. Today, the show added another big name to the cast. The Netflix show is adding a House of Cards star to the mix. The actor is Mahershala Ali, and he has been cast as one of Luke Cage’s chief adversaries from the comics. 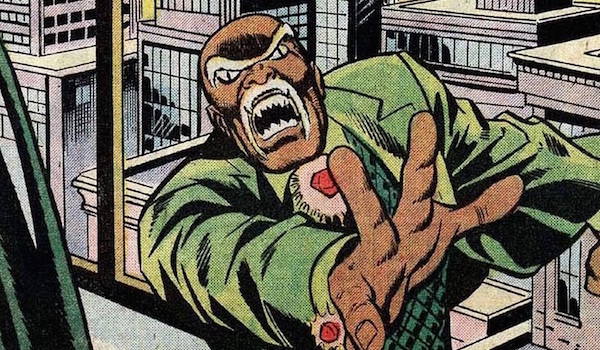 Marvel has confirmed that Ali will play Cornell “Cottonmouth” Stokes, a Harlem nightclub owner who is an "unexpected foe" of Cage's, a relationship that occurs "when Stokes’ criminal activities threaten Luke’s world.” Cottonmouth was first rumored to appear on the series last month, although it’s still undetermined whether he will be the main antagonist or a supporting villain. The casting comes just a short while after a ton of actors have been confirmed for Luke Cage, following The Good Wife’s Mike Colter as Luke himself. Other actors set to appear include Alfre Woodard as Minetta (possibly Black Mariah), Theo Rossi as a character named "Sonny" (possibly “Shades” Alvarez) and Simone Missick, who was called Missy in the casting information, although she'll possibly play Misty Knight. In the comics, it was Cottonmouth’s drugs that Luke Cage’s friend Willis Stryker (who will possibly appear in the series) used to frame Luke and send him to prison. Once Luke gained his superpowers and escaped from custody, he tracked the drugs Willis used in his scheme to Cottonmouth. The drug lord (not knowing who Luke actually was) decided to recruit the super strong hero to his cause, and Luke stayed undercover long enough to find evidence to prove he was framed. While he wasn’t successful doing this, he did eventually take down Cottonmouth.In addition to being knowledgeable about poisons, Cottonmouth also had enhanced strength, fang-like teeth and used poisonous snakes to kill his enemies, though we don’t know yet if the Ali’s Stokes will possess the same attributes and reptiles. In addition to playing Remy Danton on House of Cards (a fellow Netflix series), Ali’s acting work also includes playing Boggs in The Hunger Games: Mockingjay - Part 1 and Part 2, Tizzy in The Curious Case of Benjamin Button, Nathan Clay in Alphas and Anthony King in Treme. With Ali’s announcement, ideally Marvel will give us more casting information in the coming weeks to get us pumped for the new show. There’s currently no information on when Luke Cage will air, but you can look forward to Luke making his MCU debut on Jessica Jones later this year.